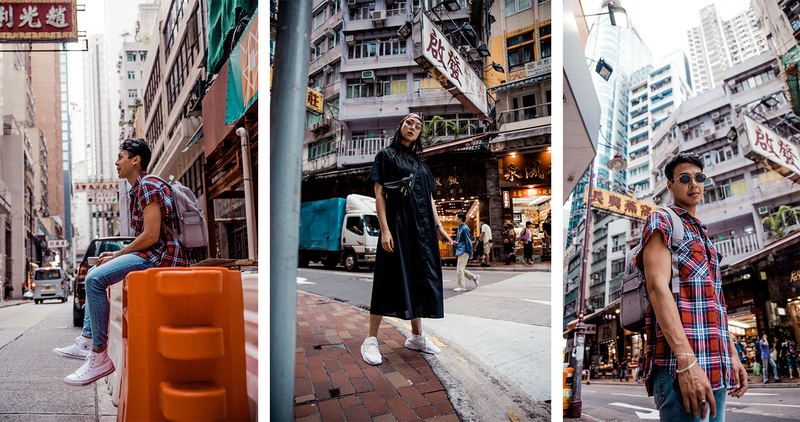 Our trip to Hong Kong last year was as jam-packed and fast-paced as the city itself. A place I’d visited and fell in love with twice before when I had brief, 24 hour layovers in 2012 when I was cabin crew, I always vowed I’d come back, for longer. 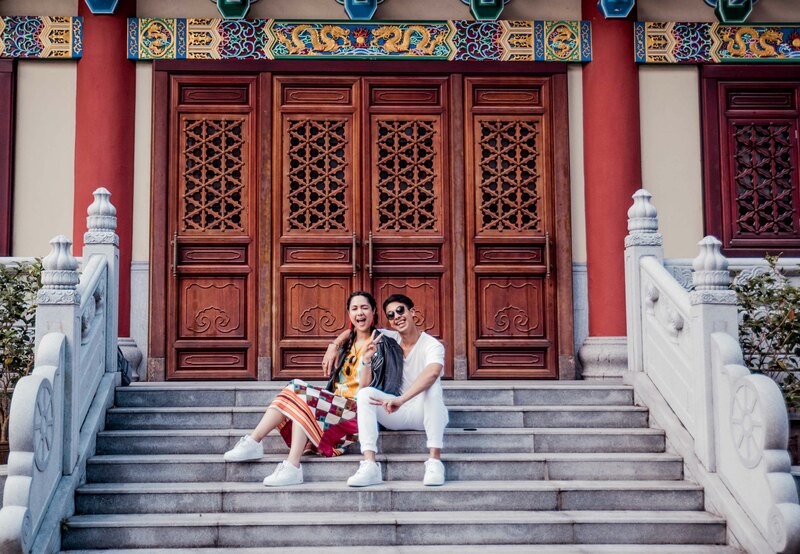 I always say there’s something for absolutely everyone in Hong Kong; whether you want to shop, explore the culture, history and cuisine, or maybe you just want a kid-friendly adventure. Even if it’s a place you maybe wouldn’t add to your travel hit list, you may well find yourself on a prolonged layover here some day, since it’s the base of Cathay Pacific, one of the largest airlines in the world. 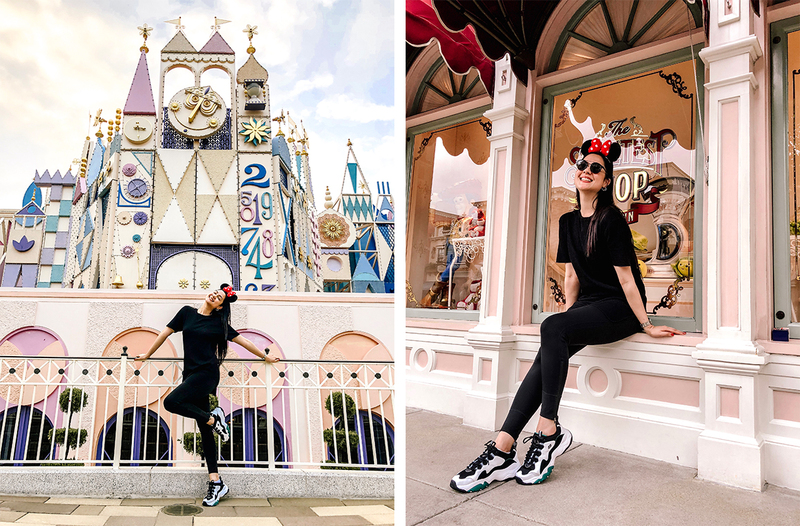 The pace here is FAST, and we may have overestimated the toll that plus the jetlag would take on us, but it was an adventure we’ll never forget! We went in October 2018. October is the best time of year to go, but also the most expensive. We initially booked our trip for August (which I was semi-dreading after hearing the heat then is unbearable and kids are on school holiday), but were forced to switch to October since I was booked on a work trip in August. The price difference was massive, but I’d like to think it was massive. Previous times I went at the end of November, and the weather was chilly then but still really pleasant. 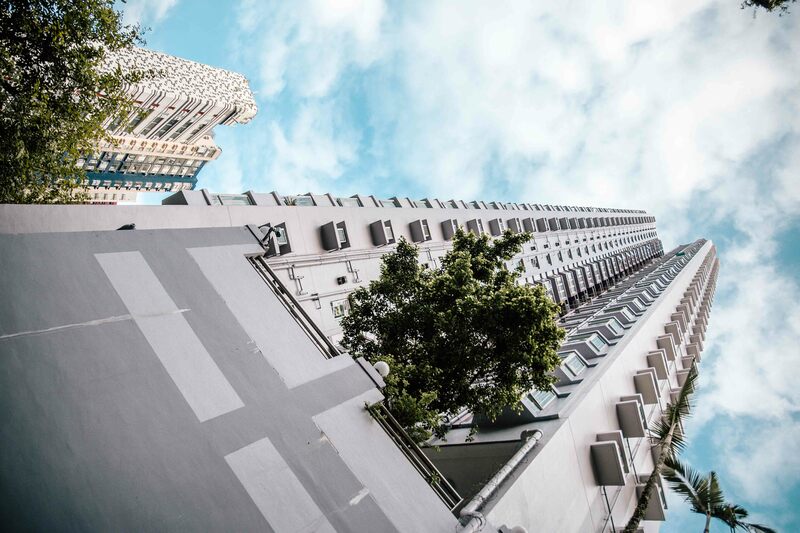 We stayed in an Airbnb for six nights in Sheung Wan, an artsy, upmarket area situated on a hill and close to Central Hong Kong. Although I typically love staying in Airbnbs, for Hong Kong I’d rather recommend staying in a hotel. The price difference between the two are not that big, and apartments tend to be small since the city is densely populated. Our bed was hard, and there was nothing we could do about it, making sleep extra tough, whereas in the case of a hotel you always have the option to switch or upgrade to something more comfortable. Also, food is expensive, so if you can load up on hotel breakfast, that helps. 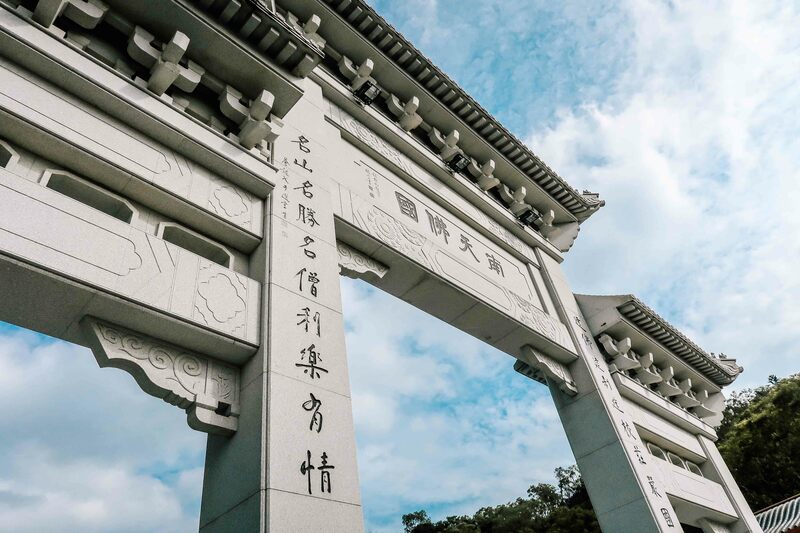 I highly recommend Kowloon, Tsim Sha Sui or Central where the ground is flatter, but if your stay is short and predominantly including things like Ngong Ping Village and Disneyland, I recommend staying on Lantau Island, which is close to the airport too. 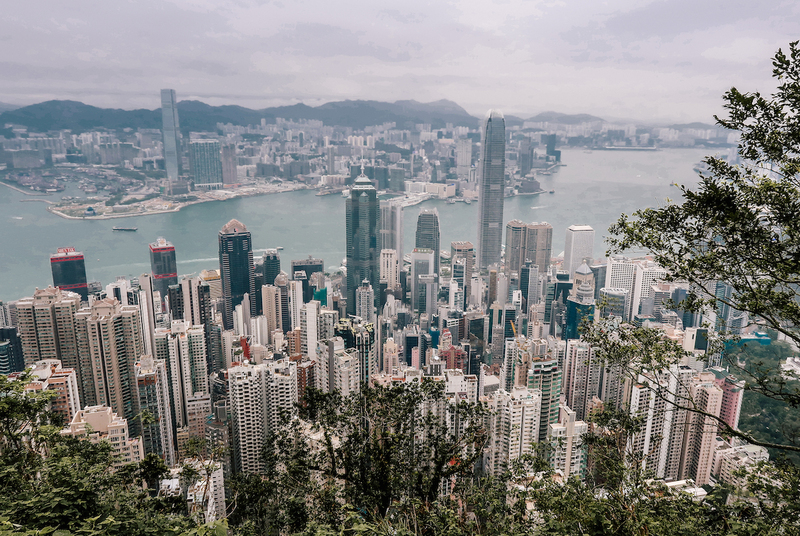 Hong Kong is not a huge place, so area isn’t too much of a big deal if you’re young adult travellers, since you can get from one end to the other relatively quickly by many public transport options. Like I said before, our Airbnb was great but I much rather recommend staying in a hotel. Okay, so it was tough for us to immerse ourselves in the cuisine because we obviously eat halal, and really it’s a take-what-you-can-get situation. 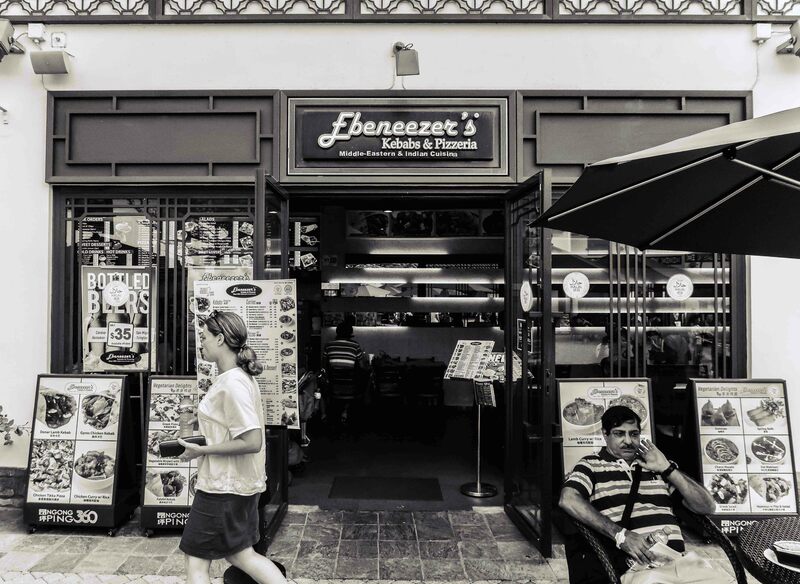 Ebeneezers is the most highly recommended halal food joint since it has thirteen branches all over Hong Kong, and they sell everything from kebabs to tikkah chicken, pizzas, curries and more. Prices are affordable by Hong Kong standards (ie: slightly pricey for fast food by South African terms). There’s even an Ebeneezers up in Ngong Ping village, so if you make your way to Big Buddha, you have a halal option all the way up in the mountain too. Then there was the Islamic Center Canteen in Wanchai, which seriously crept into my heart. The Islamic Centre itself has around seven levels, some of which are a learning centre, then two floors are dedicated salaah-ghaanas (prayer rooms) for men and women. On the sixth floor you’ll find their famous canteen, which serves lots of really, really cheap home-style food (by Hong Kong and South African standards), and it’s a good place where you can get delicious and affordable halal dim sum. So good that non-muslims frequent the canteen too just for the food. We went on a Friday for Jumuah (prayers) and enjoyed Jumuah lunch there that felt like home. I really loved that this place exists as a hub for muslims in Hong Kong, making practicing the faith really easy. There’s also a vending machine downstairs that sells sim cards. We also went to Ma’s Kitchen in Sham Shui Po, Kowloon. Ma’s Kitchen is kinda dingy, but I remember the food was good, with big portions and healthy options (You can still see Ma’s broccoli in my teeth if you watch the vlog). With so many halal places serving fast food or just a million different curries (a girl can only have so much butter chicken), Ma’s Kitchen was a good change. There are tons of sushi joints everywhere, and it’s tough (although not impossible) finding one that doesn’t serve pork too. When I visited Hong Kong all those years ago, I managed to find two and they were delicious, fresh plus super cheap. We struggled to find something similar this time though! Lastly, if you’re headed to Disneyland, there’s a massive food court that is strictly halal – yay! The Octopus Card is your best friend in Hong Kong, it works on the trains, trams, buses, mini buses, cabs, ferries and even to pay at convenience stores like 7/11. You can even use it to go to China by train! Get one from the kiosk at your nearest train station and simply load it with credit while you’re there. The staff are generally quite helpful and speak English. It costs $150 Hong Kong Dollars (around ZAR 260 / USD $20). This $150 is made up of $100 travel credit (which goes pretty far!) and $50 deposit for the card itself. When you leave Hong Kong, at your last station you can return your card and get the deposit and remaining credit returned to you. Public transport is incredibly fast, clean, safe and efficient in Hong Kong. We basically used the subway trains everywhere and used the odd short distance Uber (I just feel safer). The trains in the more central areas literally run almost every minute. Seriously, there’s no point running to catch a train. Because even if you see your train leaving in the distance, by the time you reach the platform 60 steps later, a new train is arriving and also heading to your destination. Also, it’s probably full, clean and air conditioned, but full! When going to and from the airport, you can use your Octopus card but I recommend you take the Hong Kong Express. This high speed train will take you directly to and from the city. The Express ticket can’t be loaded onto the Octopus card, and costs $100 HKD one way. Totally worth it, and it has wifi. Hong Kong has the most incredible and unique baggage check-in service from Central, Kowloon and Tsing Yi stations. It allows you to check your baggage in all the way to your flight destination, and check in for your flight just as you would at the airport! And yes, you get your boarding pass and everything. So if you have a late flight out, you get to explore luggage-free, and you don’t have to worry about carrying your heavy luggage around on the train either. When you get to the airport, you simply walk through to your gate. The service is free but you need to have either an Airport Express or Octopus leaving from one of those three stations to the airport. With hand luggage, we used the storage lockers at Central station, which were $32HKD per hour for two small bags (if I’m remembering correctly). 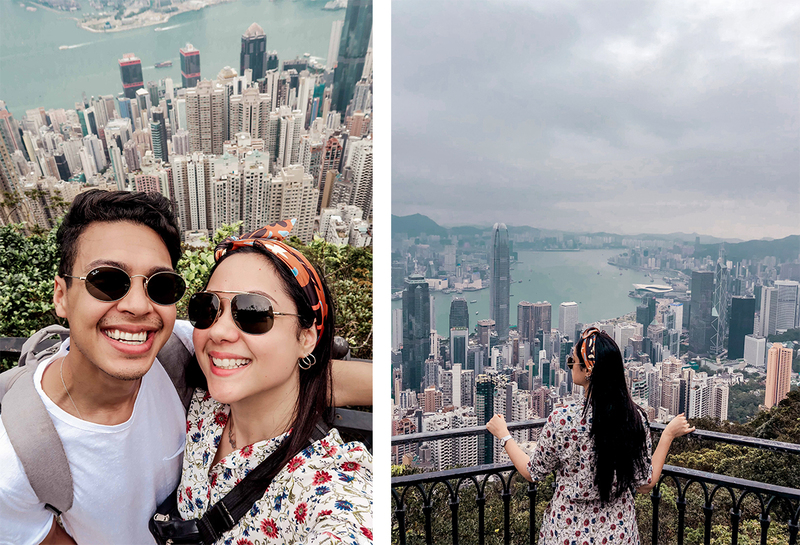 Victoria Peak is truly one of the most breathtaking views you will ever see in your life, and pictures will never do it justice! There are different ways to get there, you can go by bus or cab, or you can hike, but the most popular tourist way is to take the tram. The tram is an awesome uphill experience if you have time to wait for its lengthy queues, and it costs $45 return per person, and it leaves from Madame Tussauds. I did it in 2012 and it was fantastic, but I was too ill this time around so we just took an uber up, which was only around $40 HKD from central. There are two main ways to enjoy Victoria Peak’s city views; either from the Victoria Peak Galleria, which is a small tower mall filled with stores and restaurants, and on its rooftop Sky Terrace 428, you get the highest and most incredible view of Hong Kong, but at a cost of around $200 HKD per person. I went up there at night in 2012, but again not this time since I felt too ill for queues. On that note, you can still enjoy the completely free, but lower view of Hong Kong from around the base of Victoria Peak Galleria like we did. It’s still incredible, and if you’re facing the skyline then walk down the road to your left, you’ll find a lot of people coming in and out of a little (paved and well-railed) mountain footpath. Here you’ll find people running and walking with their families and dogs. That’s where we enjoyed the view took these pictures. If you’re planning on paying the Sky Terrace 428 fee, I recommend staying from day until night, since the Light Show happens at 8pm every night, where the city skyline buildings light up in a “performative” sequence. “Choi Hung” means “rainbow” in Cantonese. Choi Hung Estate was built to offer affordable housing in Hong Kong, and they painted it rainbow colours to make it more appealing. 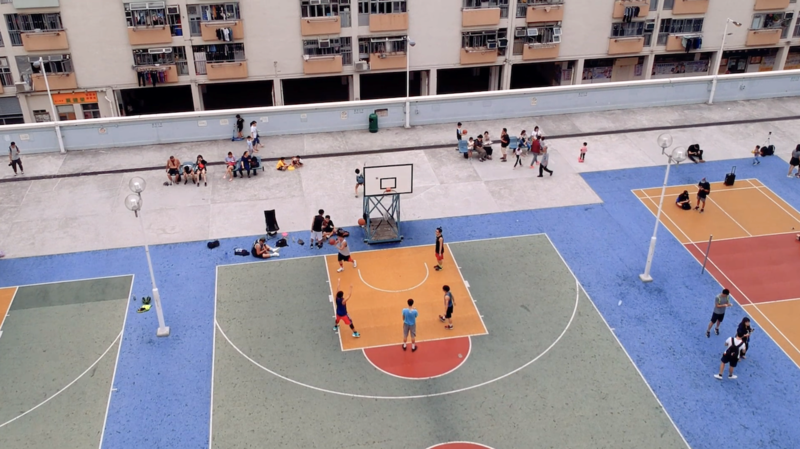 This highly popular Instagram location refers two four rainbow-coloured buildings, with a colourful basketball court at its centre. 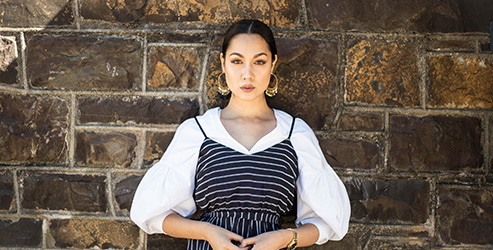 Admittedly, we first came here for the ‘gram, but when we arrived we soon realised with the hip hop music playing on a just-loud-enough speaker somewhere, perfect weather and kids playing ball, it was a pretty cool place just to hang out. With all the walking we’d done, it was a relief to go somewhere you can just chill, people watch and and have fun with the camera. It’s not a very easy place to find, but you can take a train to Choi Hung station and ask around in the area for how to get there. Also NB: the basket ball court is actually on top of a parking lot, so look out for that. 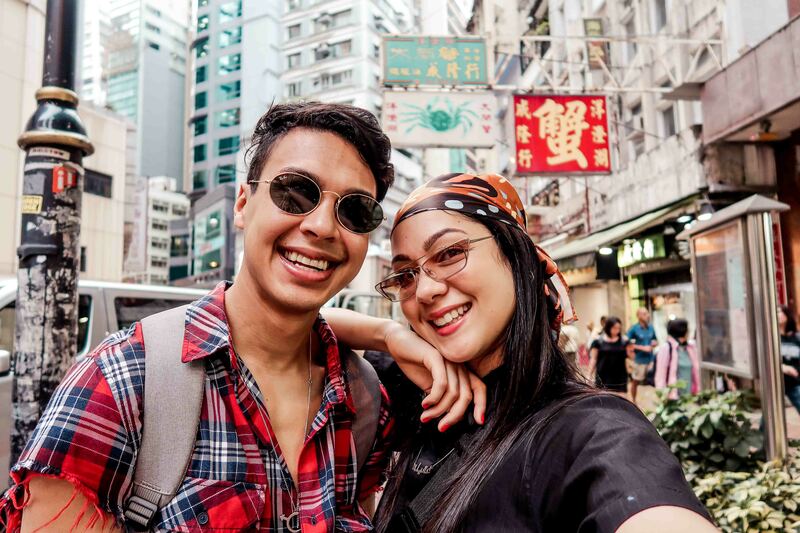 Check out our Hong Kong Vlog at the end of this post for some awesome drone footage! 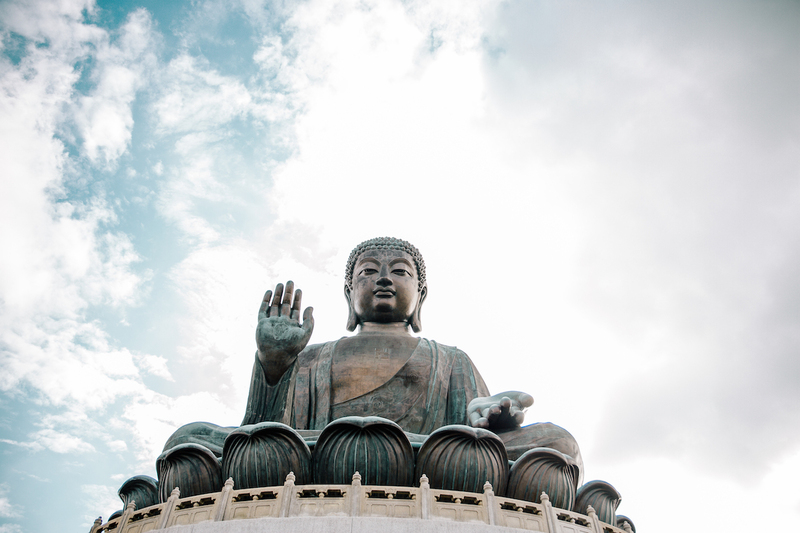 Visiting Ngong Ping Village, where you will find Big Buddha and Po Lin Monastery, is probably my number 1 thing to do in Hong Kong. I also came here in 2012, and couldn’t wait to come back and show Malick! 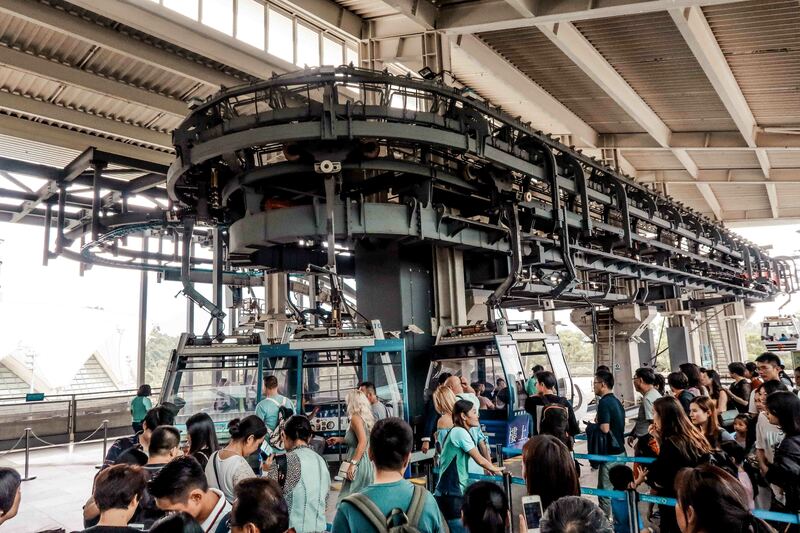 Although there are multiple ways to get there, like by bus, you simply must take the Ngong Ping 360 cable car. It takes around 25 minutes (!) to get to the village and the views of the ocean, far-off buildings, lush greenery and mountains on the way are just astounding. It gets extra exciting when you see the Big Buddha in the distance too. 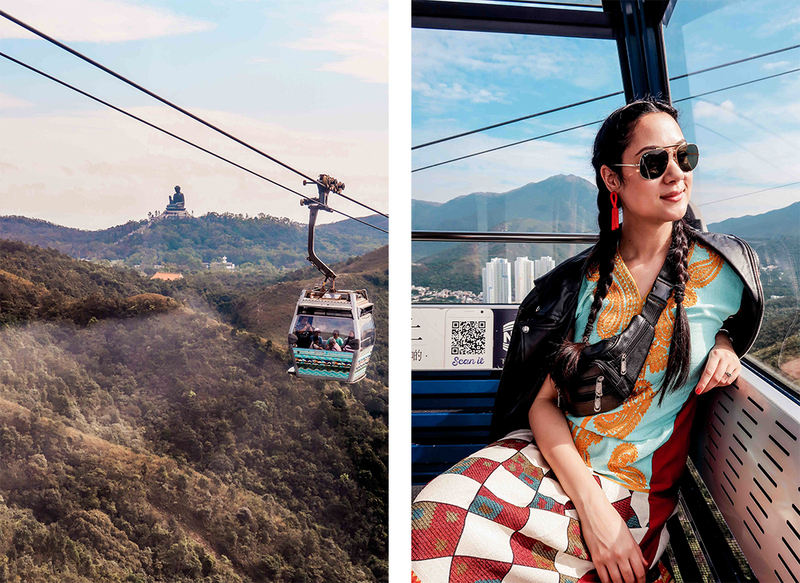 To get there, take the train to Tung Chung station, and a road away you will find the start of the cable car. Once you get to the village you’ll encounter some stores and restaurants (and stray cows and dogs), then as you keep walking you will find the staircase to Big Buddha on your right. 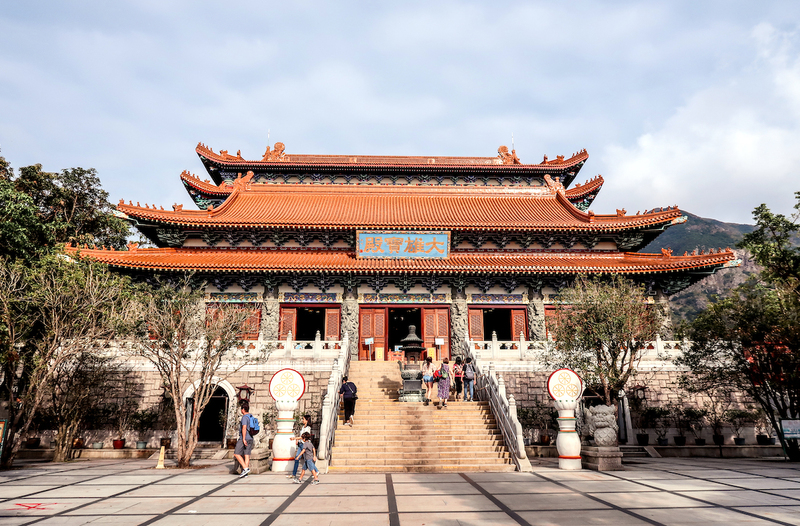 If you keep going down the big main path/road you will find Po Lin Monastery and a few smaller, beautiful temples too. When the cable car brings you back to the mainland, make your way to City Gate outlet mall which is only one block away. Here you’ll find outlet stores for medium to high end brands. This time around only Malick found good deals (Nike and Puma are especially well-priced), but as per usual I was too desensitised and overwhelmed. It’s worth checking out since you’re in the area, you never know what you can find! 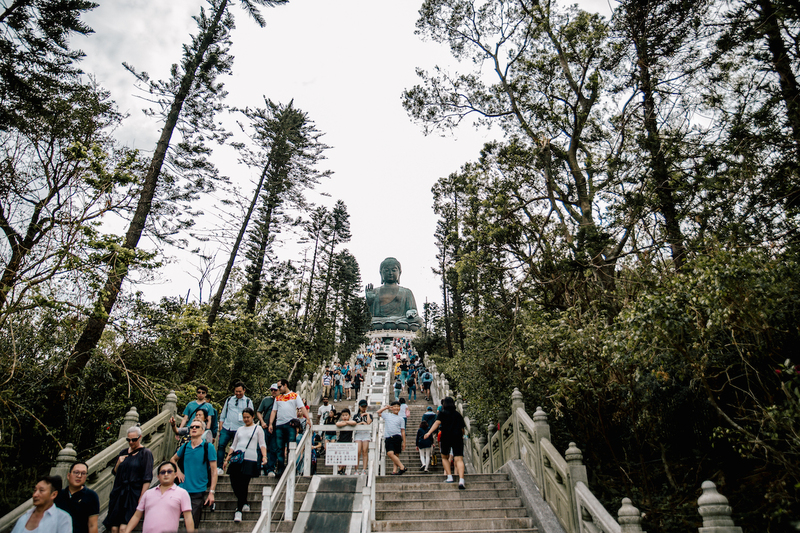 If you find yourself with a long stopover in Hong Kong, I highly recommend you do this trip to Ngong Ping since it’s quite close to the airport. It all depends on the time of year and therefore the queues. Our total visit excluding City Gate took around 4 hours (and we took our time plus had lunch up there at Ebeneezers and overpriced coffee at Starbucks). There are so many cable cars, that even a long queue goes fairly quickly. I’ve also read that City Gate mall has hand luggage storage, since a Ngong Ping and outlet outing is a popular layover activity. Abdul Malick and I found Hong Kong’s Disneyland underwhelming for us adults for a number of reasons. We’d been to Euro Disney in Paris in 2017, and it was magical, so we hoped and expected the same or a similar experience. I think it’s amazing for kids though since the majority of the rides are family/kid friendly (much to our dismay, not a single ride, not even Space Mountain went upside down or that fast). The castle was also under construction, which meant no fire works which is such an important (okay, and emotional) part of any Disneyland experience at the end of the night. Things I loved about it though was the halal food court and the fact that it wasn’t full so we barely had to queue for anything (Euro Disney was a nightmare in this sense). Since it was October, for an entire month the park is dedicated to Halloween. The characters are dressed in Halloween costumes, there are special halloween experiences and attractions, and since there were no fireworks, they have the Halloween Villains Parade at the end of the night. The Lion King show was so fantastic too, and I could tell by the accents that the narrator and Simba are played by South Africans, which gave me a great burst of pride since their performances and singing voices were amazing! So if you’re wondering if it’s worth going, the answer depends. If you’re young adults like Malick and I, and have been to a Disney before, don’t go. It’s expensive, small and not really worth it. 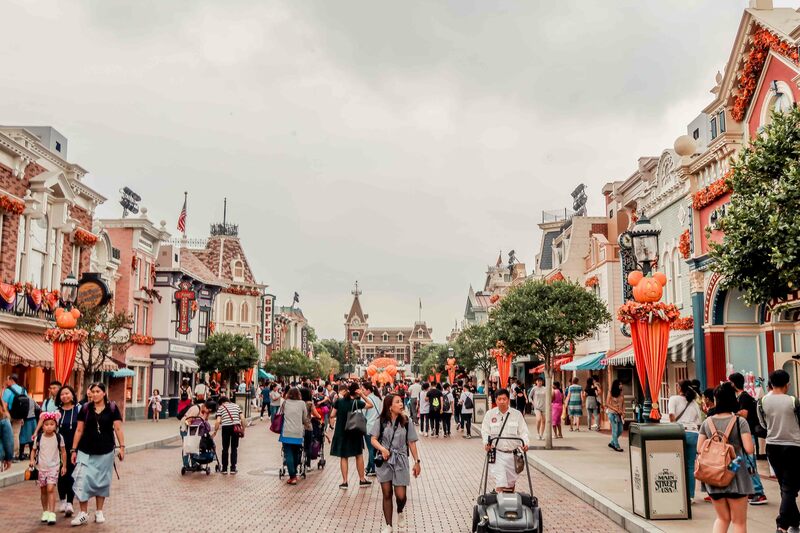 If you’ve never been to a Disneyland, international theme park or coming with kids, you should definitely go! I wish I’d managed to go on the city trams and ferries (they’re as cheap as the metro and it’s kind of shocking that I didn’t go on one). I wish I’d gone to see the Light show from across the harbour. I wish I’d gone to Ocean Park theme park instead of Disneyland. I wish I’d gone to more temples. I wish I’d stayed in a flat area because although Sheung Wan has such a cool vibe, those daily hills killed me and didn’t help when I got sick! I wish I’d worn my mask from the very beginning, since there are so many people, germs are everywhere, and illness is real. I wish I’d packed my own medication just in case. Okay, now that we’ve reached the end of the post, if you want to see more, check out our Youtube vlog below. Also, if you have any Hong Kong suggestions or questions, leave them in the comment section below! This post is everything! Thanks for the time and effort in putting this together!